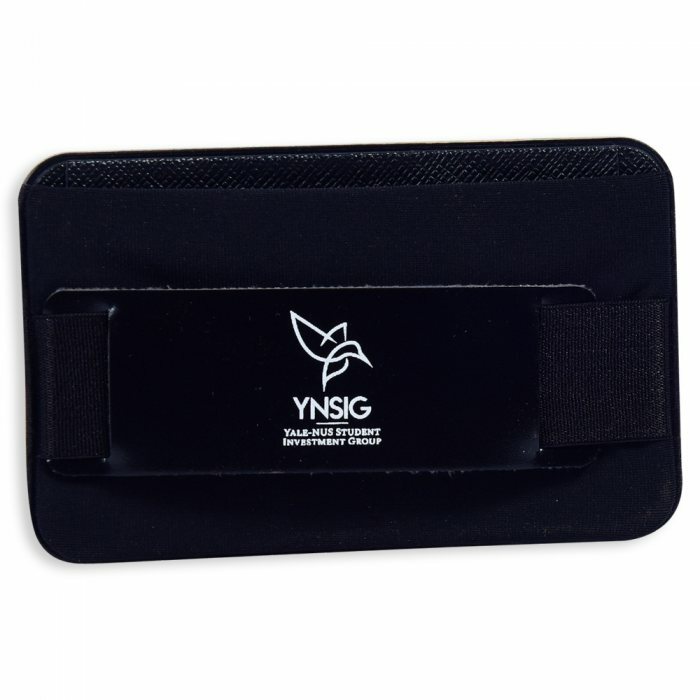 - A flap which protects your cards from falling out as well as private information from being exposed. - The highly elastic band will wrap tightly but comfortably around your hand so you don't drop your phone. 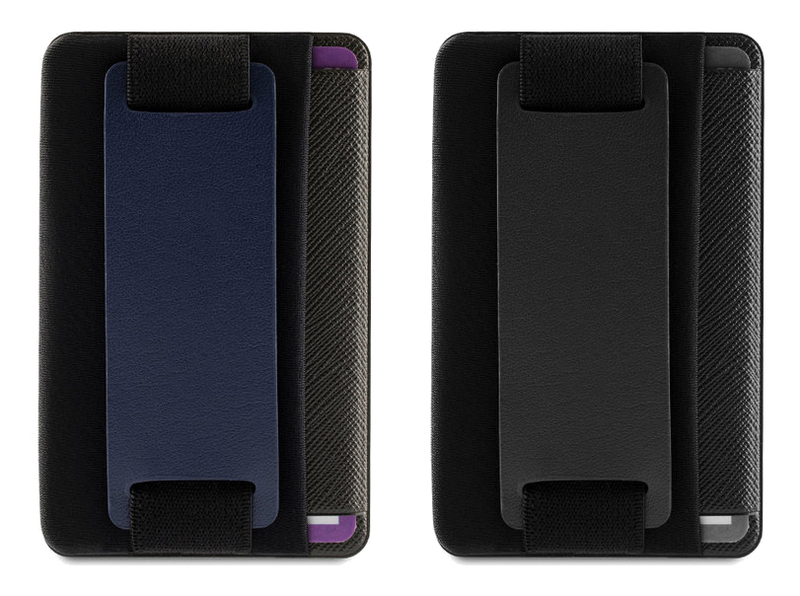 - You can store between 1 to 6 cards safely in the Pouch. Alternatively you can also keep cash or small business cards safe with you at any time. 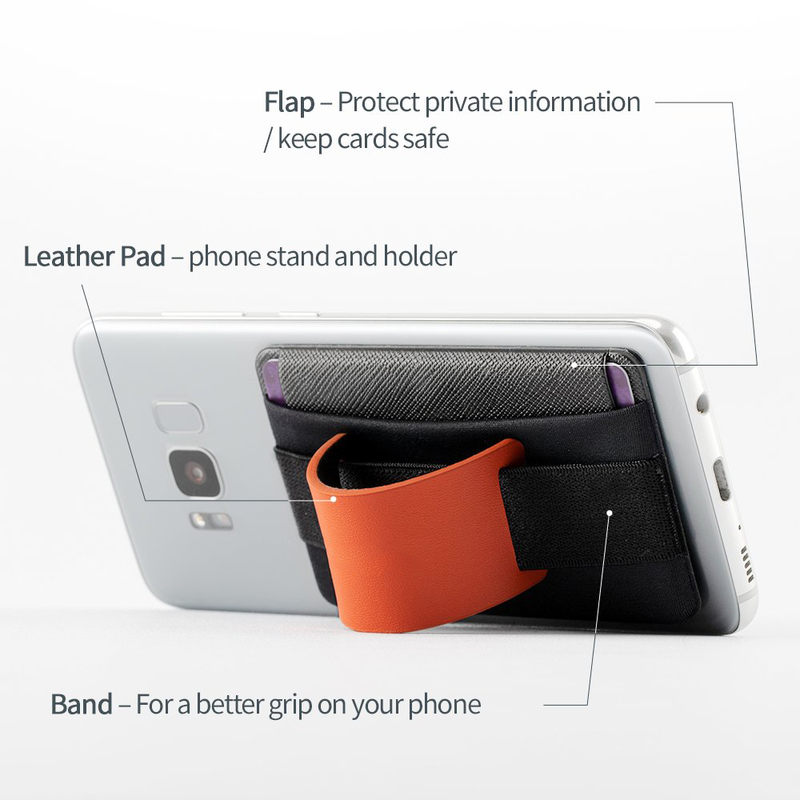 - The leather pad that is attached to the band does not only give a hint of color to the design, but it can be arched in order to use it as a phone stand on the go. 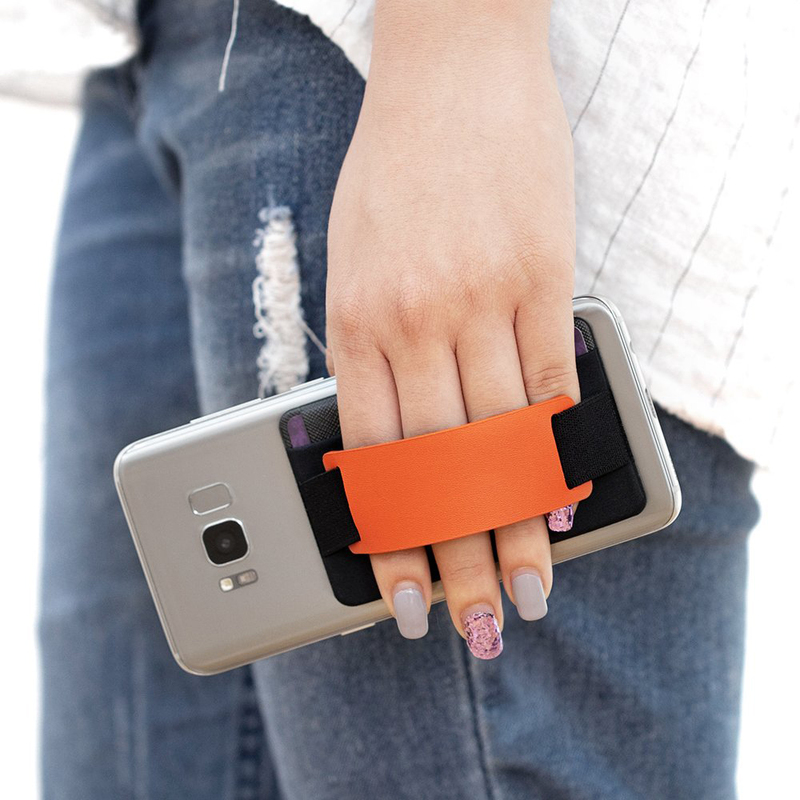 - You may also slot your finger through the arch to use it as a phone grip!